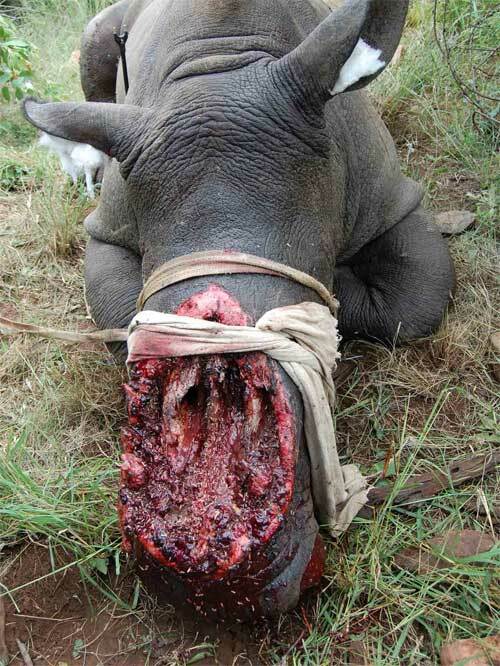 ” Rhino Poaching Cruelty Adverts contribute towards site running costs, but currently may not fit with the site ethos. We will continue to work on a solution. 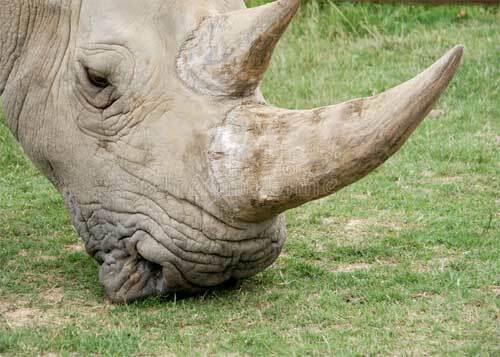 How Are Rhino's Such Easy Targets? How Do We Stop Rhino Poaching? Rhino poaching is fast forcing the Rhino to extinction. Rhino horn is more valuable than gold, and is an ingredient in Traditional Chinese Medicine that is much in demand. 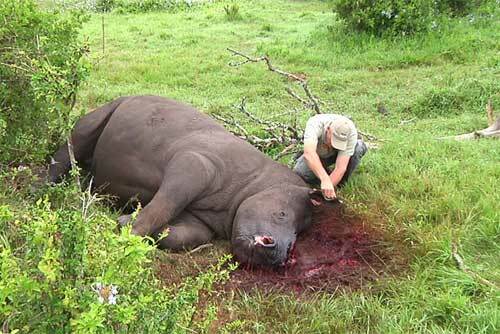 Since 2008 South Africa has lost over 7 000 rhinos. Game Reserves, where animals such as Rhino’s and other animals can be bread for sport, are easy targets for poachers. The Rangers are targeted on a frequent basis and although they are governed by strict rules of engagement, poachers are armed and do not hesitate to shoot on sight. Poverty does not drive all Poaching. Other criminal activity such as vehicle hijacking, ATM bombing, gun-runners and murder all pose an even greater risk to all types of Rhino’s and other wild animals. In this article we look at Rhino Poaching in detail, and how we can all hep stop this barbaric act together. The table below shows the official figures of poached Rhino’s over a 10 year period. Following the quick and huge rise in numbers up to 2014, there has been a steady decline from 2015 to date. 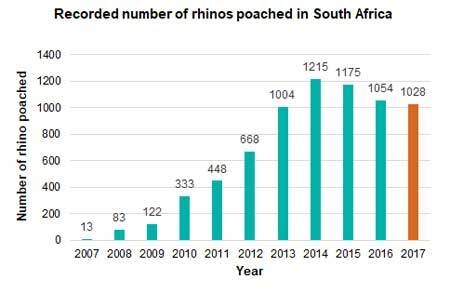 This is encouraging but still over 1000 Rhino’s were poached in 2017; which is still an unacceptable number. To put it into perspective, in 2017, nearly three Rhino’s were killed every day, for their Ivory. In some areas, poaching numbers were down, but in other areas, such as the KwaZulu-Natal provinces of South Africa, were significantly up. Poachers are constantly adapting their tactics and target sites, which is difficult to control. Some poachers are looking outside of South Africa to poach Rhino’s, many of which have fewer resources available to protect wildlife, which is a new concern. There are five species of Rhino and all are threatened with extinction. The African black rhino is critically endangered, with a population under 5,000. The 3,000 one-horned rhinos of India and Nepal are endangered, while Southeast Asia’s Sumatran and Javan rhinos number only in the hundreds and tens! Around 20,000, white rhino live in South Africa. 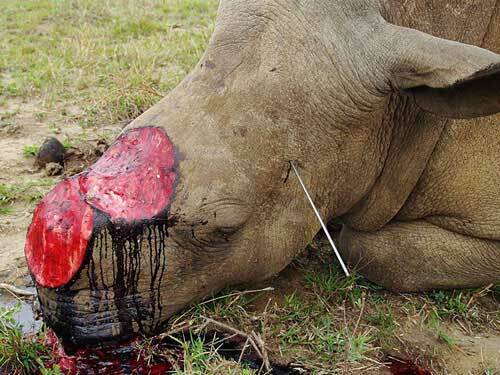 Rhino’s are poached for their ivory horn. Rising demands from each Asian Countries such as China and Vietnam, for reasons such as Chinese medicines, have elevated the cost of ivory to unprecedented levels. Some report suggest a Kilogram of Rhino horn is worth as much as $50, 000 dollars. This is quite an incentive for poachers who are poverty stricken and/or involved in serious crime. These reasons directly influence the poaching figures above. Rhino horn is bought and consumed purely as a symbol of wealth in some parts of the world, a culture that is yet to evolve. Rhino’s are large animals and can be very aggressive, especially when protecting their young. So how are they such easy targets? Rhinos have very poor eyesight. Objects that do not move are not seen by Rhino’s until they move or they are very closeup to the object (within a couple of metres). Poaching techniques enables seasoned poachers to get up close to the Rhino’s and shoot them dead before they even know what is going on. Professional poachers have well-structured operations and use high technology methods, including tranquilliser guns and veterinary drugs. 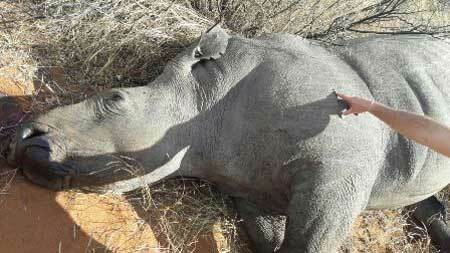 Some of the indicators that skilled professional hunters are also involved is where the Rhino has been felled with one single well-placed shot to the head or body, like in the image above. 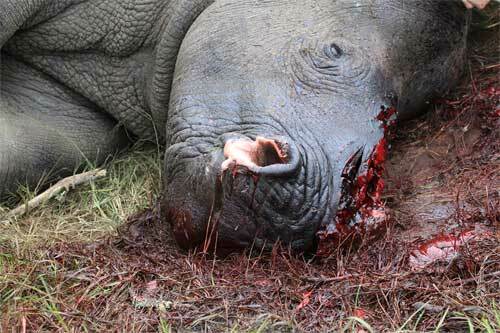 The rhino subsequently dies either from an overdose of tranquillisers or bleeds to death. However if the tranquilliser dosage is too low, the animal is likely to wake during the brutal removal of the horns with a chainsaw. Image: The gun shot used to immobilise this rhino (right) did not kill him. He was left in this state by poachers once they had taken his horn and only found 6 days later by reserve staff. He was euthanised following the discovery that his top lip was paralysed; the nerves controlling it having been cut off along with his horn. Rhino’s do have something going for them though; their hearing and sense of small. Both are very acute and help them to sense danger and move to a safe area. However, A severely maimed Rhino will attempt to breath through a cavity in its nasal passage between its eyes. It will have no sense of smell and if it survives will have a great battle to fight off any secondary infection. Rhinos have been around for millions of years and are critical to their local ecosystem, whether it be in south Africa or other parts of the world. They are huge animals do a lot of grazing, consuming large amounts of vegetation, which helps shape the African landscape. 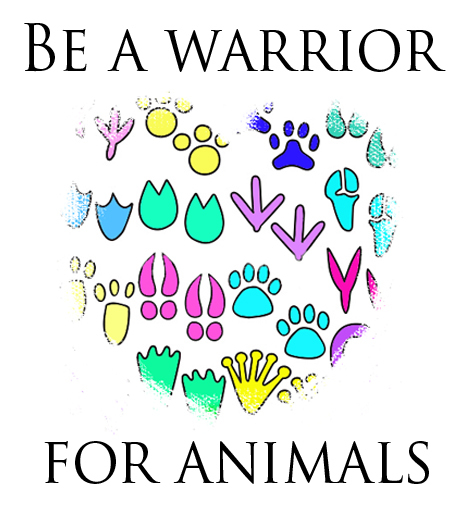 This benefits other animals and keeps a healthy balance within the ecosystem. Image: A wild and free Rhino grazing. This is the image we all want to see! Rhino’s are also a popular sight for tourists. This form of trade s very important t local economies, with local people’s livelihood dependent on it. Unfortunately this is not a straightforward answer. Just how to do stop the brutal attacks on one of natures finest and most magnificent animals, and make images such as this a thing of the past? Image: Thandi the rhino was one of three rhinos brutally attacked during a poaching incident in South Africa’s Kariega Game Reserve in 2012. The only one to survive, she’s since had to endure numerous operations – including pioneering skin graft surgery – as veterinarians worked to repair the damage from horrific machete wounds inflicted by the poachers. Education, especially in Vietnam and China regarding Chinese medicine, which does absolutely nothing to improve your health! There are also not for profit organisation such as Stop Rhino Poaching, which is doing all it can to help the cause. On the 22nd September 2018, a Rhino Poaching ‘Kingpin’ and three of his associates, all Policemen, were rounded up n a dawn sting. Joseph Nyalunga (33) and Petros Sidney Mabuza (53), dubbed Big Joe and Mr Big respectively, were rearrested by a heavily armed task force in a massive crackdown in South Africa. The suspects include three policemen, one former policeman and three major role players in the rhino poaching syndicates. 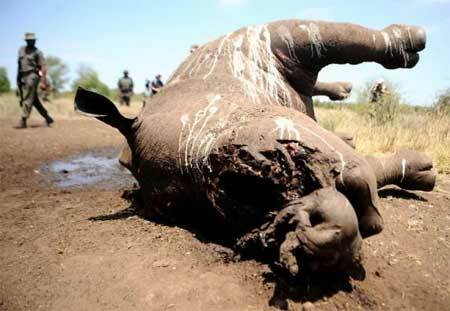 It is expected this operation will result in at least a 70% decline in rhino poaching countrywide. This is fantastic news! 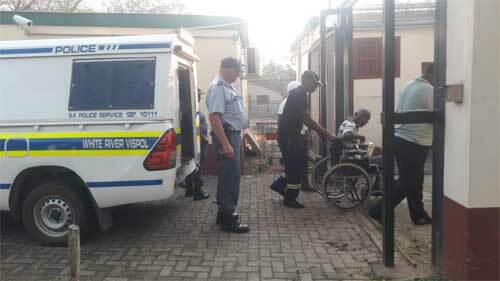 Image: Some of the suspects leaving court, one pulling the old wheelchair trick to gain sympathy from the judge! During the operation properties of the kingpins were searched and law-enforcement members found and confiscated luxury items, cars and an undisclosed amount of money, estimated at millions of rand. A total of 530 rhino poaching-related cases are currently on court rolls, involving 750 accused and 1 738 charges, with close to 300 of these cases being trial-ready for charges including rhino horn trafficking and the illegal possession of firearms and ammunition. Thirteen wildlife traffickers, five Chinese nationals and eight locals, were nabbed en route to China, Hong Kong and Vietnam at the time of their arrests. Last year, the black rhino population in the Kruger National Park was between 427 to 586. Although the Rhino has had a turn in fortune, we must not sit back and think the job is done. Even with these improvements, if we don;t continue the fight , these African animals will be poached into extinction as soon as the year 2025.